RisMedia is reporting that the Housing Market is, indeed, cooling. Economists have long predicted falling home sales in the wake of rising mortgage rates. How has your market been looking like? We are breaking down the secret key to creating the best real estate website. We are exploring the 5 different types of real estate marketing. And, we list out how they should be reflected on any Realtor’s website. We are also examining the best features for each real estate website. Plus, don’t miss out on the $299 Cyber Monday real estate website sale, from our partner, Blue Fire Sites. What Kind of Realtor are You? You’ve heard the rumblings and seen the signs. There is definite slow down hitting the housing market. Economists are warning of a recession. 2020 looks like the year the downturn will hit. So how will you spend 2019? Will the housing market shoulder the blame like the last recession? The NAR (National Association of Realtors) poured 14.4M in the 2018 midterm elections. Inman recently dug into lobby spending on opensecrets.org. The NAR contributed significantly on both sides of the aisle, seeking to endorse candidates who would stimulate the housing market and favor Realtors’ rights. The My Buying Buddy IDX/CRM Suite is now compatible with Squarespace, the prominent website builder. IDX plugins, like the one from UltimateIDX, can be installed on your Squarespace website. It’s easy to deploy IDX search, property display, and Lead Capture, all seamlessly presented in your website with no frames or subdomains. Generating leads with your real estate website is critical for your business. If you don’t have a list of strong leads to work with, then the flow of new business will come to a halt. Luckily, there are many ways to optimize your website to generate qualified leads. Include these strategic lead capture pages on your website, and you can generate more prospects and win more clients for your real estate business. Shares fell 7% after the Real Estate platform, Zillow, announced that it will begin buying and selling homes in Phoenix and Las Vegas. Zillow will be working with Berkshire Hathaway and Coldwell Banker to make offers on homes before a buyer is found. They will pay commissions and make all repairs and updates before getting the house back onto the market. A few months of your listing getting little to no attention is frustrating to the sellers, and to you, as the professional. You know that the longer this listing sits, the less attention it will receive. With the summer months approaching, now might be a good time to look at some of these stagnant properties, and see what can be done to spark some interest. Try these 4 tips to help refresh your stale listings. Many real estate agents these days just want a website without IDX. Here are some reasons why having IDX integrated into your website is still a great idea! REcolorado IRES Merger – It’s going to happen! According to an IRES news release today, IRES and REcolorado have made a firm commitment to merge. If the merger proceeds, the integration of the MLS organization’s products and services, and listing data will happen soon after. As in many merger scenarios, here at UltimateIDX we anticipate the IDX RETS feeds from IRES and REcolorado to also be unified, but this may take anywhere from 4-12 months. Need a Joomla IDX Plugin? Finding a Joomla IDX plugin that works with your site can be quite a challenge! One Florida MLS recently launched an updated framed IDX solution for their members that removed support for Joomla! 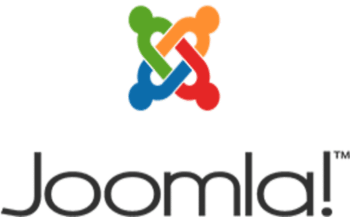 So, are Joomla users and others just out of luck? No. The fix: an IDX plugin like the one from UltimateIDX that works with Joomla. Keep up to date with the latest security requirements. Don’t Let Your Unsecured IDX Plugin Invalidate Your SSL Certificate. Do you know if your IDX Plugin is secure? An unsecured plugin could soon begin to cause you trouble if it isn’t already. Are you in the real estate sector? Have you been struggling with online lead capture and generation? We have Oregon Regional MLS IDX websites and IDX plugins. These are the solution to your struggle. The UltimateIDX is the trusted IDX RETS and CRM Services in Oregon. Helping Real Estate Agents get leads that have led to millions in real estate deals in the region. Are REcolorado and IRES Moving Towards a Merger? New Information Suggests….Possibly? After several stops-and-starts, a recent failed takeover bid of IRES by REcolorado and an announcement that they will no longer share data, are you concerned that these two will never find a way to “make it work”? Well, some new information suggests there might be a light at the end of the tunnel. Is It Better For Agents and Brokers To Work With or Against Syndicates? A recent Inman Select Special Report on Real Estate Syndication tells a story of the struggle between deciding to participate on syndication websites or not, and how that decision affects business. However, in our daily experience, we hear a completely different perspective on syndication participation. It is one of acceptance, engagement and ultimately embracing syndication.